With your donation, we will build a fund to support the work of outstanding peacemakers, activists and artists where there is financial need. The World Peace Forum aims to be an independent and to reward outstanding peacemakers based on their merits. Our nominees cherish us for our authenticity which we sustain by tailoring our fundraising campaign to the individuals. In order to continue our activities and offer visibility to the peacemakers, we need your donation. Your donation would be used to contribute to the peacemaking projects of our laureates. 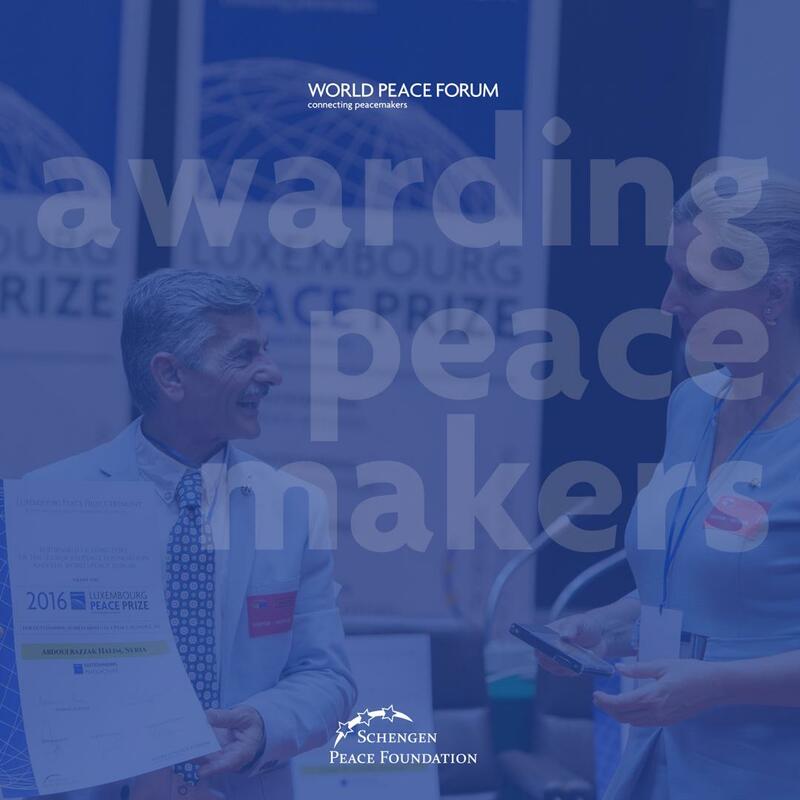 The Schengen Peace Foundation would be able to follow the progress of the fieldwork of the World Peace Forum laureates. We believe that this funding can make a great contribution towards making a better world. Our nominees have all had an important impact both in their local community and in the world. Use the bank details below to make a contribution to the peacemaking projects of our laureates.